Searching for your dream legal job - something out of a musical? Recruitment and the rise of AI: a benefit or hindrance to candidates, hiring managers and recruiters? Is making a counteroffer a wise move for my business? Is there a legal job available even if there's no live vacancy? Character versus credentials – what’s more important at interview stage? Have millennial lawyers got the right idea? How do you know if a lawyer - or law firm - is the right cultural fit? Newly qualified solicitor? How to make sure your law firm is looking after you! Why does ‘time fly’ so quickly when you’re working in legal recruitment? I'm a newly qualified solicitor and I don't know what to do: stay put or move? What should I do if my boss is leaving the law firm? Can the choice of words used in a job ad affect the prospective employer’s performance and profitability? I'll soon be an NQ lawyer, should I have a job backup plan? What’s your value - as a lawyer - in today’s market? Women lawyers are taking over, but is it as it seems? Do you need to be qualified to be a conveyancer? Are you a City lawyer considering a move to the regions? Take the stress out of your first interview… and your first date? How can I secure an interview? Should you accept a job offer whilst holding out for another? Should I relocate for my new role or is commuting a better option? I don’t understand my notice period, can you help? Why is a good legal recruiter important in my job search? Why is it important to have loyal employees? I’m a trainee solicitor about to qualify, what do I do? Should I ask for flexible working? What can I do if my job role changes? Should I tell a recruiter my salary and benefits package? When should I start applying for a newly qualified (NQ) solicitor job? Fake News Facebook - Time to move on? Is it stressful being a lawyer? Britain’s broken retail sector. Is the news as bad as it appears, particularly for those of us working in the Northwest? Do I need to leave the law or leave my firm? As a conveyancer what roles are available to me if I don’t want to carry a caseload? Newly qualified solicitors – how effectively are you running your job search? Should I use a recruiter or do I search for my own job? Should I apply for a new job? Should I rearrange my interview? The most common interview question and how to answer it! Alternative careers for solicitors – do you need one? Why should I meet a recruiter in person? Should I start a new job? I need to reschedule or cancel my interview - what do I need to do? When’s the best time to ask for flexible working? How do I secure an NQ Solicitor job in Birmingham? From legal practice to recruitment - how did I end up here? Golden Handshakes on the rise – does the legal sector need to embrace this form of payment to attract top talent? How long should I stay in my job? The accelerated degree plan, will future lawyers be behind the curve? Should I accept a job offer right away? Are men and women paid equally? What should I wear to a legal interview? What can I do as a newly qualified solicitor if I don’t want to practice? What is the one key mistake most Solicitors make at interview? How long does it take a conveyancer to secure a job? How honest should I be at interview? Do I want a new job? When’s the best time to move in-house? Look before you leap. The NQ season is ready to go…. Returning to work after maternity leave: do you have the flexibility you need? ‘New year, new job’ – Investors in People (IIP) research suggests this sentiment has declined. Which area of law should I qualify into? What Questions will you be asked in an interview? Should I call my recruiter? How much do British workers like their jobs and pay? Reflecting on the year – have you thought about recruitment? What is the East Midlands' Legal Market Like? Pay rises and the commercial legal sector. Is it time you asked for a raise? Should I be offering Agile/ Flexible working? The answer might surprise you! So what does 2018 look like for employment lawyers? Is Christmas the right time to move? Burn the banks, it’s time for PSD2! How much information should I give my recruiter? Should I stay or should I go? Six good reasons for moving on from your current firm. How much should I tell the recruitment consultant? What time of year is best to secure a new job? How do I remain calm? Can I leave work without notice? Why should you work with a recruiter exclusively? What are the benefits to you? Why should I stay in my current job? Does a recruiter's gut-feel still have a role to play in today's modern assessment process? How to increase office productivity? Offered the job at the interview! How do I manage the interview process? Hot Property – who’s hot this week? When is a good time to change jobs? What challenges face the in-house Lawyer? How do I progress my career within the company? The Apprentice Week 3 – Siimon? Jeffrii? Make you’re (sic) mind up! Senior In-house Counsel - does your employer value your role? Why should I be a recruitment consultant? Three years in Legal Recruitment – What I’ve learnt! When should you start exploring the market leading up to qualification? Should I accept my job offer? Should I move to London? Real Estate Solicitor Jobs in Birmingham! Can you compare The Football Transfer Market to the NQ Market? Recruitment: It’s just Matching the Right Person with the Right Job, Right? Working mum - Are you one? What is the most important soft skill to succeed in an in-house legal career? Should I accept the counter offer? Leeds Legal Sector Continues to Impress – Is now the right time to look for a move? Where is the solicitors’ profession today - where will it be tomorrow? Why are Recruiters so bad? How do I attract better quality candidates to my law firm? No feedback on a job application? Why is it important to keep in contact with your recruiter? Moving desks in the office! Should I leave the law? How do I get a promotion at work? My First Year at BCL! Do you know what you really want out of your career? Interview preparation... Solicitors, do your research! Why do recruiters ask about other interviews? I need a new job and don’t know what to do? How to best prepare for an interview… and one mistake that you will never recover from! How does communication impact my law firm? How do I answer what my biggest weaknesses are in an interview? How can I make the most of a recruitment agency? Solicitors - why relocate to Birmingham? How soon after an interview do I need to provide my feedback? When is the right time to hire your first in-house lawyer? Why BCL Legal over another recruitment agency? What is the future of the legal profession? Does Artificial Intelligence (AI) signal the end of the lawyer? Should I use a legal recruiter to help me with my job search? What do you do when your new role isn’t working out for you?? 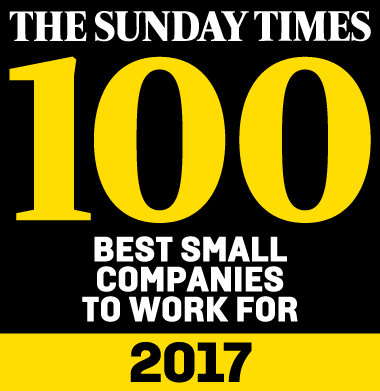 Best companies to work for – why not join BCL Legal? Do employers look at my Linked In? Why should I consider starting my legal career in Sheffield? Should you accept the counter offer? Private Client Lawyers - the unsung heroes of the legal world? Do Lawyers have to carry out Business Development? Maternity Leave, see you in spring 2018! Why should I use a recruitment consultant? What does good customer service in residential conveyancing mean to you? Should I qualify as a Legal Executive? Are dads pulling their weight? Does racism still exist in Law firms? If your move meant accepting a lower basic salary but higher overall potential would you accept it? Should I ever lie on my CV? Is my job making me ill? Are there real estate solicitor jobs in London? Is the legal profession lagging behind others when it comes to focusing so heavily on school and university grades? In the current generational war, does Generation X have the best characteristics of the Baby boomers and the millennials with none of the downsides? Selling is a two way street! Leeds - The next UK city to win the European Capital of Culture? Thinking of moving away from Personal Injury? Think again! Work-life balance – can lawyers now ‘have it all’? The ultimate interview curveball question: What are your salary expectations? Weather the storm and hope for the best? Locum work - does it really stack up? Social Media – don’t get stung! R&D spending and investment in innovation - how might this impact legal? Birmingham Property Hype… speeds up! Is not taking risks, the biggest risk of all? Flexible working as an in-house lawyer: Myth or reality? What’s the right firm for you? Just accepted an in-house role? Read this before marking up the contract of employment! Thinking of an alternative career whilst still utilising your legal skills? Is it too soon to blog about the 2017? What happens when you don’t accept an in-house job offer immediately.. The Unemployed NQ…is that YOU? Can you juggle your offers/interviews? Should you? Hygge - Have the Danes found the key to happiness? It’s good time to be a private client lawyer! “Anchoring” – use this technique to get a better deal during your salary negotiations! The personal injury market is on the up! I’m an overworked lawyer…get me out of here! How does the Autumn Statement affect the Personal Injury market? So what happened to Armageddon? The Brexit Conundrum – Is Brexit holding back job creation and spending? An interview classic: Why do you want to be an in-house lawyer? Christmas is Closing in – Does this mean firms aren’t recruiting? Falling Pound Sterling + growth of the manufacturing industry = A great new job? Should you ever accept a counteroffer after you have resigned? Preparing for your new job! Have you considered what opportunities are on offer commutable out of London, in the Thames Valley? The regions? You couldn’t pay me to move there! What do recruitment and dating have in common? How important are academics In 2016? Is property the way forward? Should you include hobbies on your CV? To do or not to do…? How come 95% of the lawyers that register with us are happy in their current role? Interview questions YOU can ask to help find out more about your possible new role/ company! Fight or Flight – Why would you stick at a job you do not love? New Trainees - Top Tips, Take them or Leave Them! Personal Injury – Never the bottom rung of the ladder! First Impressions Count… Even with your recruiter! Is it time Plan B became your Plan A? I would do anything for an in-house role… but I won’t do that! Should I take my engagement ring off for an interview? What?! BCL Legal is proud to be sponsoring the 2016 LFS Conveyancing Awards for the 4th year running. The Job search: what do lawyers really care about? A New Job to Beat the Post Holiday Blues? Have you heard the one about the Englishwomen, Scotswomen and German woman? Work anniversaries – how do they make you feel? Failures during an interview process can be costly – a real world example. Brexit - what now, legally and constitutionally? Bore out – the new burn out…..
Why working with a bunch of foodies is a good thing! Loyalty- is it enough to make you stay at your current firm? Is Conveyancing due a facelift? Interview Success lies in…Research, Preparation and Personality! Why such a long commute? Should I leave my permanent role to give contracting a go? Why Use a Recruitment Consultant When You Can Do It Yourself? Shocking behaviour in the recruitment process, you might be surprised by who! Much Ado About a Brexit? NQ solicitors – where do you see yourself in ten years? Panama Papers….NQ’s know all about it! Don’t be a mouse – Stand out. Continued Demand for Real Estate Lawyers. Going back is not always a bad thing! Maternity Leave – Does this mean career suicide?! Brexit - Where are the facts? How does the shipping market impact shipping law recruitment? Interview tips to help you be ‘the one’! You have 45 days to recruit or lose your hiring budget! April kicked off with…. April fools! Are you afraid to read this blog? It is the Time of Year for Fresh Starts! What does it take to be successful in the City? Considering all your options is vital when accepting a job offer! New Year, New Career…from Courtroom Drama to BCL Legal. What does 2016 have in store for residential property lawyers? It's not what you said, it's the way you said it! Calling all recruitment consultants. - Why would you want to work anywhere else except BCL Legal? Let's all say ‘Welcome’ to January! How are oil prices affecting the shipping industry? Calling all 2016 qualifiers. Are you ready for the race? What should you expect from your recruitment consultant? Happy New Year! Happy New You! Happy New Job! First Impressions - how to create a bad one! What would your gift job look like? Why you should always accept the right job, even if the salary is lower than you would like. The New Year Recruitment Drive Starts NOW! Are you making the most of your career in law? Team management – Lessons all managers learn from the demise of Stuart Lancaster. Female lawyers –focus on what you can do, not what you can’t! Don’t forget to take your holidays! How can employee’s best add value to an employer? How do you get through an interview when the interviewer doesn’t know what they want? Do difficult interviews lead to better job matches? In summary, yes. Get the basics right to help your interview succeed. Tis the season to be…… sick??? Working 9-5? Has that ship sailed? Strong Autumn retention rates for newly qualified solicitors….. Paralegals is it time to plan ahead? Why you should register with BCL Legal (if you are looking for a new job)! ARE YOU SURE YOU WANT A NEW JOB? Training Contracts – the only route to qualification ??? How can you answer the very wide interview question “tell me about yourself” without boring to death the interviewer? Stamp Duty Reforms saves buyers almost £2 billion! BCL Legal Sponsors Thomson Reuters & Practical Law’s Leading Small and Medium Legal Teams Forum. You are the perfect hire, but sorry, the tests say “no”. A guide to working as a temporary document review lawyer. Does your in-house legal team contribute to the success of a company? What does the ideal Paralegal profile look like? Back to school, back to law, back to reality! BCL help make that reality work for you. "Generation Y” lawyers are moving away from the partnership track. But for different reasons than some law firm partners might think. Why choose a career in private practice? The average CV is read for between 60 and 180 seconds. Make sure yours makes a good impression! Going back to work for your old boss? No, seriously? Really? Is my CV too long, does size really matter? Just what is a 'following'? - and, contrary to popular belief, you might actually have one after all! ‘North-Shoring’ – Get ready for a renaissance of the regions! Don’t take your foot off the gas! Will we be replaced by robots? Career paralegal or trainee solicitor? September NQs... We want you! Caffeine and the workplace, are we really helping ourselves? Why an effective recruitment process is (always) key and even more so now! Talent deficit and HR – the biggest challenge to company growth and success! Why use a legal recruitment agency? How portable is your personal following? Document Review – Is it a smart move? Will you be affected by the proposed changes to clinical negligence? Why do in-house lawyers look for a new job? Is shared parental leave the way forward? If you are considering a move, now’s the time to take the plunge! Lawyers hire people they feel they can have fun with! Paralegals - The new route to qualification? Summer lull, is it a myth that recruitment slows down? Have in house interviews become more intense over the years? Conveyancing News in South East – Boom or Bust! What's in store for clinical negligence practitioners? Training Contracts: Is it worth it? Problems need solutions, don't ignore them! 2015 – ‘The Year of the Buy Back’? So what does a recruitment consultant actually do? Conflict in the work place and when is it the end of the road? Does your recruiter’s brand affect your job search? How does a 4 year PQE pensions lawyer get offered 3 in-house commercial jobs? UK Housing market waking up after a subdued first quarter! The bigger picture...don't be swayed by the numbers! What’s in a name? Keeping your maiden name in the workplace. What's the deal with Europe? How do you know if you are really looking for a new job? Paralegals - Should I stay or should I go? What are some of the benefits to a company in hiring an In-house lawyer? Is it better to grow organically or through lateral hires? Lawyers are amazing… here's why! Is Document Review for you? What do candidates want from recruiters? Is there any flexibility… in relation to your perfect candidate? Is it time to Reconsider Your Future as a Sole Practitioner? Do the maths…then things will add up and fall into place. Should I stay or should I go? Handling a counter offer. Why are certain clients unable to fill their vacancies? Could you work with your sister? Promotion – Isn’t it time you had one? I’ve had mine, have you had yours? Why does the role of legal now incorporate compliance and risk management? Claimant PI on the demise? I don’t think so! Clients be warned: Candidates have a choice so make sure your recruitment process is a good one! Calling all Commercial Property lawyers!!! Change of circumstances? Need to request flexible working? Is it time for a CV MOT? A strong kick off to 2015 for Private Practice Paralegal recruitment.. Counter offers – “too little, too late”? What are Partners looking for? New Year, new job and the first 100 days….. So you have hired somebody new – what do you do now? How do in-house lawyers grow their ‘value’? 2015 – The best year ever, again? ‘Major moment in the British recovery’ according to George Osborne. Do you still need a law degree to be a lawyer? Stamp Duty Changes….Will this have a knock on effect in the recruitment of residential property professionals? All I want for Christmas is…. a new job… as an in house lawyer? Will we ever see a perfect CV…? Feedback is knowledge…..why it’s important to provide feedback as part of the interview process. Things not gone to plan? 2014, the year of the Conveyancer. When can an interview go wrong? To include or not to include, that is the question…. Is working in the law the best way to make your career recession-proof? How has the job search landscape changed over the past two decades? Why the most costly and ‘involved' recruitment processes actually mean company’s lose out in the race for talent! Looking for a fresh start in 2015? Recruitment and online dating; what’s the difference? Technicality vs Personality – Is one more important than the other? Management – a poisoned chalice or the best job in the world? You train - you gain. Why is training so important? Christmas is closing in – does this mean recruitment is quieter? Travel/Relocation For That Golden Opportunity – Is it all worth it? How best to use a recruiter to find your dream in-house legal job! CVs and the 30 second test – how does your CV compare? When will 2014’s NQ season end? 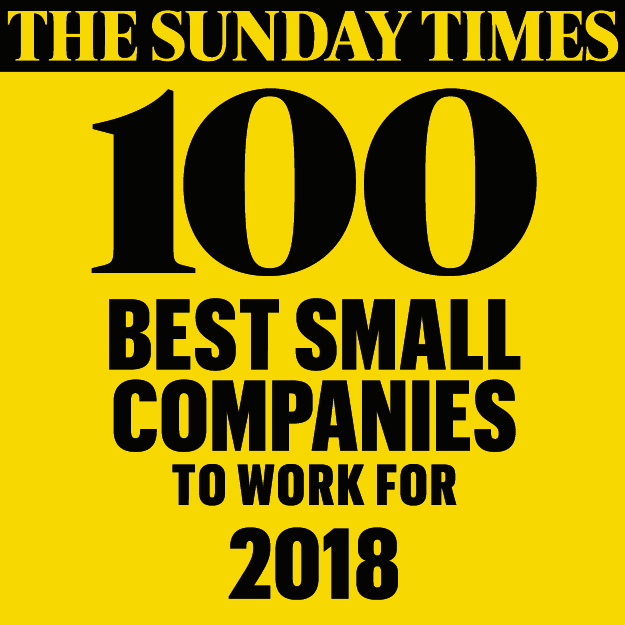 BCL Legal – Why wouldn’t you work here? Have you considered your career aspirations recently… I recently did and look where I ended up!! Back to BCL Legal, the right role? If at first you don't succeed try, try again... When looking to make the move in-house!! Why being flexible in your job search for an in-house legal role is appropriate but having no parameters is not! With the Jackson reforms having been in place for well over a year, which section of the legal profession has emerged as a winner? Think about your ‘status’ before updating your status! NQ’s choices…choices…. make the right choices…. So what choice should I make? Countless questions of varying levels of importance. How To Solve The Residential Conveyancing Skills Shortage! The technical test at interview – What it takes to Pass! Should you be able to decide your own annual leave allowance? Will you always get the best quality if you push for cheaper fees? Why BCL Legal is worth every penny. How committed are you to moving jobs? Lack of Conveyancers…..Are we at a crisis point? It is September and you don’t have an NQ position – what to do next. The bell tolls for the training contract? What you assume to be easier, ends up being harder – why is that? There is more to recruitment than you might well first think! Never bluff an interview again! Questions to think about and answers to use! Is the race for the top worth the scars on the way up? Big Up to the East Midlands! Why do all Corporate/ Commercial Solicitors want to move in-house? Don't wait until you have an offer to decide if this is the right role for you! 9 Months In Legal Recruitment – Similar to 9 months of pregnancy - The trials and tribulations! What makes people leave their jobs, and what makes them stay? Are the Mitchell Reforms clogging up the Courts? Defendant PI/Insurance market – Thriving or Defunct? Buzz words in CVs – clichés or a clever way to get you noticed? Rising Employment, unfilled vacancies and the average wage. A Legal perspective. Stay at home Mum… or Dad? The ‘economy is gathering momentum says ONS’ – has this benefited the in-house legal market in 2014? Another NW company listing, another opportunity for an in-house lawyer? Birmingham - the land of opportunity! Can you really grow your own? Is London still the land of milk and honey? Not for insurance litigation. Are ABSs the future of legal services in the UK? 2014. How is it shaping up so far for in-house lawyers? BCL Legal seeks conveyancers or legal professionals looking to re-train into conveyancing across Leicester, Northampton and Manchester. Conveyancing is booming – how do you set your business apart so you can attract fantastic staff? The state of the UK legal recruitment market. Things to think about whilst your on the beach this summer…or maybe not! Why don't (sought after) lawyers respond to direct company job adverts? A brave new world or just another great idea that won’t stick? With more in-house vacancies available clients are often competing for the same talent. To ‘win’, their recruitment process had better be effective! “CV Blind” interviews – removing bias or enforcing the status quo? Document Review – Smart Gap Filling or Career Killing? Is this the end for High Street conveyancing departments?? Thinking of using a recruiter? Would you recommend a career as an in-house lawyer to others? A growth in confidence in the North West legal market brings a new era of non fee earning roles. Want to work for an NHSLA Panel Member firm? What do you value in a manager? Newly Qualified season starts early! Should you move in house as a newly qualified solicitor? Conveyancing boom exposes skills “gap” which has a knock on affect on the turn around time for qualified conveyancers versus non qualified conveyancers. The number of in-house solicitors has doubled since 2000! Enthusiasm – the great divider? Why am I unhappy in my job? What do you expect from job interviews? Motivation + Recognition = Dedication?? Committed to the cause. Why being thoughtful and honest will make all the difference. Will my LinkedIn photo have an impact on my chances of getting a job? The next step – stick, twist or no choice? JLD's and TSG's - to join or not to join. NQ Interviews – The Secret to Success. What’s the difference between high street and volume conveyancing firms? Corporate Law – the deals are back on! When you are recruiting, it is best to remember that "life is a two way street"
Have you ever fancied a career in recruitment? Appraisals in the work place. Improving property market means residential conveyancing lawyers are in demand! I’m a solicitor in a busy legal market – can I achieve a pay rise? Stay-cations, Work-cations, pre-cations, what is going on? Is property the new personal injury? Inch wide, mile deep mentality: Why specialising is a good move for your legal career? Leeds Careers Talks Thursday 6th March, Central Bar Leeds. 2014 – The year of the Private Client lawyer? Is there such a thing as a work/life balance? 2014 – The best year ever? Securing your NQ job in Leeds and West Yorkshire - now is the time to act! The shifting landscape in the Midlands legal market. First foot forward into Spring..
How to grab the attention of the reader! Are you a trainee solicitor still looking for an NQ job? Is 2013 the year of the property/construction solicitor? Is the new year a good time to be looking for a new legal job? If You Don’t Know The Answer – Please Ask Somebody Who Does! Is it too soon for a blog about solicitor jobs in 2013? So you have had your legal interview and legal job offer - what happens next? What not to do in an interview! Are you a residential property lawyer looking for a different career path? Culture eats strategy for breakfast… and key to culture is recruitment! Moving firms when qualifying as a solicitor.. The Holy Grail of partnership – Still worth it? Birmingham Newly Qualified Solicitor Market Update – What is hot and what is not? Interview Preparation – should past experiences influence how you prepare? Lack of communication leads to frustration... at home and at work! Legal recruitment jargon explained – what is contingency recruitment? What did in-house lawyers get paid in the regions in 2011? Is bigger always better when it comes to choosing a law firm to work in? Career advice for in-house lawyers - How do you move from junior counsel to general counsel? A Legal Recruitment Consultant at BCL Legal – What we do and how we can help you? Our final in house seminar of 2011 to complete a busy year! Finding a New Career - New Year, New Job? When is the right time to leave London and relocate to Leeds? NQ’s CVs Making the Best of yours. Are the Government incentives creating a “push” in the market? Don’t sign your job search away…. Are you hiring? Understanding the candidate interview "experience"
Cameron and Clarkson: The new anti fraud poster boys? Why do so many new hires fail within the first 18 months of starting a job? How important is maintaining a healthy work/life balance and more importantly- how can this be improved? How best to prepare for a job interview. Legal recruitment in Merseyside and Cheshire gets busier and busier…. Why should I use a legal recruitment consultant? Business development- how important an element is it in a lawyer’s job? Newly qualified 1st, 2nd or 3rd choice – how selective should/can I be? I am looking for a new job, can BCL Legal help me? NQ Salaries – higher or lower? 2013 Careers Talk - Don't Miss Out! Are any law firm’s hiring in Manchester? Don't be Conservative about your conveyancing move! Dedicated to all you residential property lawyers out there! Paralegals seeking a training contract – is there an alternative route to qualification? Better job or more money? What is your real priority? 95% government backed mortgages….. are they going to save the day? Is a move to Saudi Arabia on the cards? Salary reviews – any change? Why you should use a recruitment agency? Why you shouldn’t put your job search on hold because Christmas is around the corner………. Proposed ban on referral fees in personal injury cases – How will effect personal injury recruitment? How much procrastinating is too much? I’m a commercial litigation lawyer…get me out of here! I hate my job! Should I quit now or wait until I’ve found a new one? So you have accepted the job…. What happens if you get cold feet? What are the benefits of working in a conveyancing role? Are you truly happy in your legal career or is it time to start looking for a new job? Job-hunting? If you know what you want, is it OK to ask for it? Why it's so hard to fill 2-4 year PQE* lawyer roles, and how are other businesses finding a solution to the problem? As a lawyer candidate, do you have the ‘X-Factor’? Recruiters: are you a lone wolf or a team player? What does my (legal) recruiter actually do? As a lawyer, what would you say to your 25-year-old self? Are you a solicitor who's stuck on the ‘partnership ladder’? When working as your legal recruiter, do you trust me? Is it time to quit your in-house legal job? Should I limit my legal job search to London? How is Game of Thrones relatable to NQ season? Legal recruitment agency: friend or foe? Asks: Is Brexit shining a light on law firm communication strategies? Asks: Brexit or bust – a brave new world? Ify Okpalugo - resourcing consultant at Clyde & Co’s Dubai office – on working in the Middle East, the region’s challenges and what opportunities exist for lawyers thinking of relocating. Mark Wilson, partner at Richard Nelson LLP, HMRC: A Year in Review. Responding to recent insight that claims 75 per cent of the current UK’s top-200 firms may disappear in the next five years, David Beech, CEO of Knights Professionals Services shares his views on why the landscape of the legal world is changing more than ever. Catherine Henry – manager of the Yorkshire & North East team at BCL Legal – discusses market trends, demand and growth areas across the region. Nick Rowles-Davies - managing director of Burford Capital (UK) – on exploring finance models. Stuart Whitwell - joint managing director at Intangible Business: Less laughter from businesses under new parody laws. "Energy - Security of Supply, Security of Pricing - What can we do today?" asks Darren Walsh, energy partner at DLA Piper. Nisha Srivastava – Pilates & Yoga teacher at The Yoga Lounge – shares her six principles for health & vitality. Niall Baker, chief executive of Irwin Mitchell’s Business Legal Services division, explains the key reasons of how the firm has started to establish its reputation as a commercial legal practice. Hans Albers - senior director and associate general counsel EMEA at Juniper Networks International BV– on the challenges and pitfalls of doing business in Russia. Mark Heptinstall, partner and head of Family at Slater Heelis, says the government needs to listen to the voices of family lawyers and take urgent action to resolve the inequalities for those cohabiting together in a relationship, whatever form that takes. Stuart Whitwell, joint managing director at Intangible Business, asks: Samsung v Apple – never-ending litigation? “Life is a String of Changes Which You Will Do Well to Embrace” says Gergana Avramova - assistant general counsel at AppSense. Andy Raynor, chief client officer at Shakespeares, shares his views on how lawyers could be winning more business. What makes a good GC, why in-house lawyers add value and what drives her. Ever thought what it might be like to move in-house? Gerald Cooke one of the UK’s leading lawyers shares his insights. James Batt – director at BCL Legal – on the importance of trainees and why we will be hosting our National Road Show for Trainee Solicitors. Duncan Ralph from Foot Anstey. Richard Bate, head of real estate at Wragge Lawrence Graham & Co, discusses the firm’s recent merger, where it’s heading and the wider real estate sector. Kevin Gold, managing partner at Mishcon de Reya, discusses trainees, flexible working, the firm’s relocation and its future. Matt Barnes - legal and governance manager at British Cycling – talks about his role, the popularity of the sport and making the move in-house. Sara Maccallum, Boodle Hatfield’s recently announced new senior partner, discusses her career, her new post and her plans for the future. Mark Brandwood - managing partner at Brabners - talks mergers, branching out from legal services and changes at the firm. Mark Jeffries – senior partner at Mills & Reeve – talks his career, the firm’s growth, mergers & its new deal with FIDAL. John White, head of BL Claims, on the firm, its future and ambitions. Matthew Smerdon, chief executive of The Legal Education Foundation, discusses the organisation, its work and how it adds value. Emma Simcox-Oliver, head of industrial disease at Asons Solicitors. Ken Woffenden, managing partner at Stevens & Bolton, discusses his career, why he left Simmons & Simmons and how he’s helped to grow Stevens & Bolton. Barry Gross, partner at Berwin Leighton Paisner LLP, on the firm’s expansion and the state of the wider legal market. David Leviten, Head of Commercial Property at Clough & Willis, who was recently placed by BCL Legal. Interview with Head of Legal, Andrew Carr of Sellafield whose team won In house legal team of the Year at the Law Society C&I Group North West Annual Dinner and Awards. Jonathan with Liverpool FC talks about young In House Layer of the year at the Law Society C&I Group North West Annual Dinner and Awards.